Future 500’s Maximum Exposure Guarantee, ensures maximum exposure for every camper that attends a Future 500 ID Camp. In most instances, campers will be seen by every College Coach in attendance – often multiple times. We are not aware of a mid-to-large size College ID Camp in the country with a guarantee that LEGITIMATELY gets anywhere close to this. How Do We Guarantee Maximum Exposure? Future 500 spends a tremendous amount of time optimizing the schedule matrix for both campers and college coaches, ensuring that the schedule is highly organized, efficient and strategic. The end result is that college coaches know exactly where they need to be at all times throughout the entire camp. The college coach schedule sync’s very closely with every campers 8 v 8, 11 v 11 and training schedule, ensuring a highly efficient structure and process. Future 500 carefully chooses its facilities so that fields, gyms, buildings and meal locations are very close to each other, making it possible for both campers and coaches to get where they need to, quickly and easily. Why does that matter? If the camp is too spread out, coaches spend too much time traveling to different fields, which significantly limits the amount of campers they can watch, coach and recruit. Future 500 carefully interviews, selects and trains each counselor (most of which are current college soccer players). These counselors oversee camper movements everywhere they go for the duration of camp. Every camper is exactly where they need to be when they need to be there. Nothing is left to chance. All colleges complete an agreement to work Future 500 ID Camps before they are advertised. Future 500 only lists a college coach on our website after they have completed and signed an agreement to attend a Future 500 ID Camp. If you are considering other mid to large sized camps, you may want to have them explain how their camp LEGITIMATELY enables college coaches to see 100% of campers? We’ve seen a couple camps claim to have a 100% guarantee, but we’ve not seen them get anywhere close to actually achieving it. How many colleges are listed on the website for EACH camp? (A minimum of 90% of the colleges attending should be listed a couple months ahead of time). What is the minimum time a coach is at camp? If they are only there for a few hours, can they effectively see you? Is a college coach refereeing the games? If so, how can they properly instruct or evaluate players? How many fields do campers play on? How far is your furthest field from your closest field? How far are the fields from the gym, meals and other meeting spaces? Exactly, how do you coordinate all coaches to see every player? Who coaches the campers if the coaches are identifying? Can you provide me recommendations from college coaches who worked previous camps? 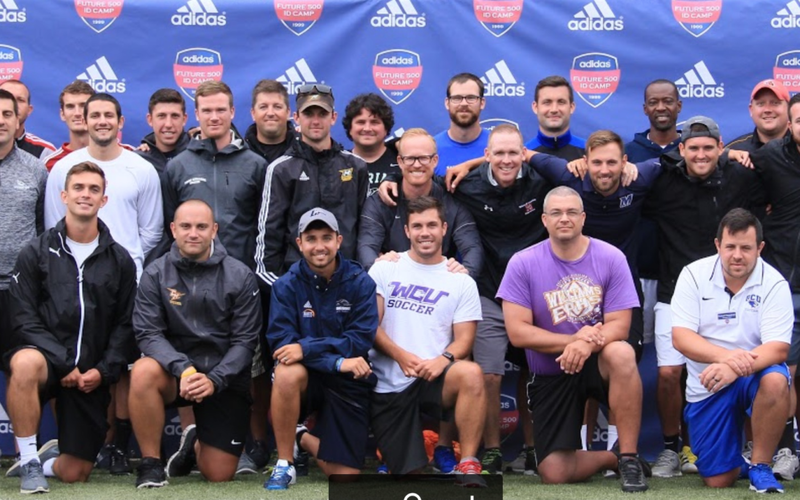 Future 500’s Maximum Exposure Guarantee – yet another tangible example of how Future 500 sets the Standard for College ID Camps. Still Skeptical? Don’t believe us? Give Future 500 a call at 610-325-7883 and we’ll be happy to discuss in even greater detail.